DISCLOSURE: I received a free product from Crowdtap to facilitate this review. All opinions are my own. My kids don't really watch Sesame Street, but they love Elmo! We recently got the chance to try out the new Play All Day Elmo from Playskool! Play All Day Elmo features eight games and activities and over 150 different responses. It grows with your child and has two modes of play: Toddler and Preschool. 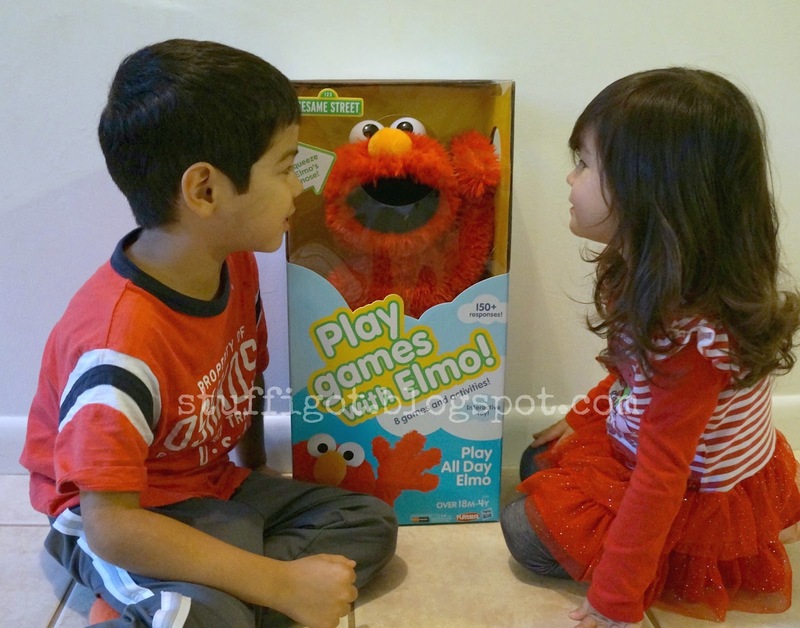 In Toddler Mode, kids can interact with Elmo in basic cause-and-effect play. You can tickle Elmo's tummy, clap his hands together and squeeze his nose. With special sensors built in, he can tell when you throw Elmo in the air or jump up and down while holding him or even when you kiss him on the face! 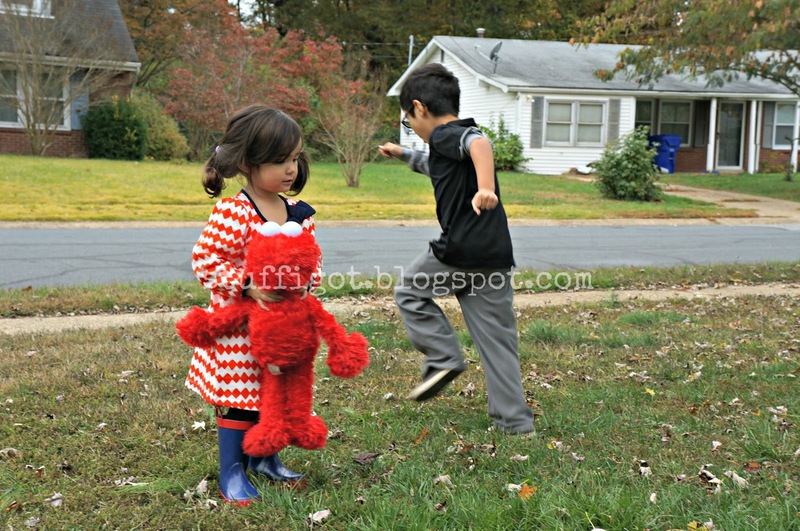 Both of my kids enjoyed playing with Play All Day Elmo. 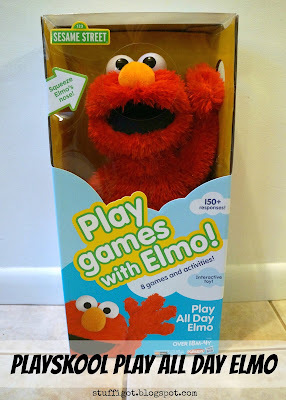 My 5-year-old son loved playing Red Light Green Light and throwing Elmo in the air. He thought it was funny that Elmo could tell when he was upside down. 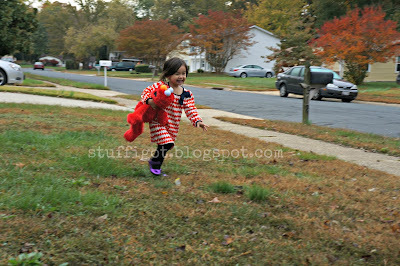 My 2-year-old daughter just enjoyed running around with Elmo. 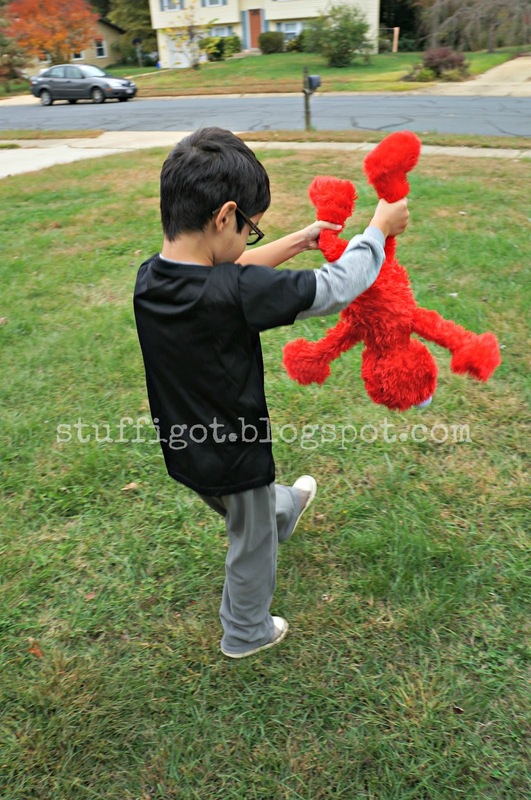 Elmo is soft and cuddly, unlike other Elmo dolls we've had in the past. You don't really feel any mechanisms, except in his face. 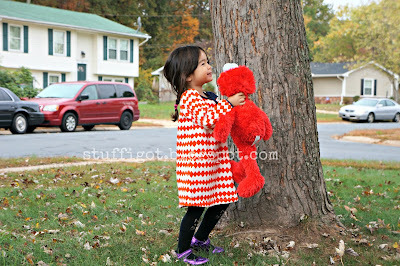 So this Elmo is nice to hug. The nice thing about the Play All Day Elmo is you can switch him to Nap Mode. In Nap Mode, Elmo sings a lullaby, then asks for a kiss goodnight. Then, he plays a soft instrumental lullaby for 2 minutes. He doesn't speak again until you switch him back to Play Mode. Play All Day Elmo is recommended for children 18 months - 4 years. It's available to purchase in mass merchandisers, toy stores and online retailers. It retails for $59.99.